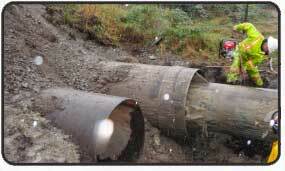 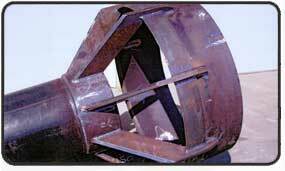 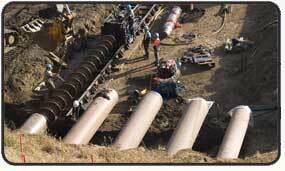 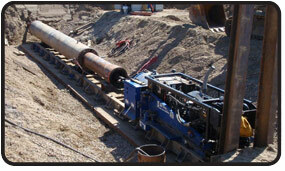 The Guided Boring method installs small diameter pipes with grade and alignment precision. 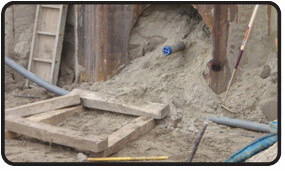 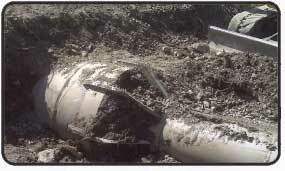 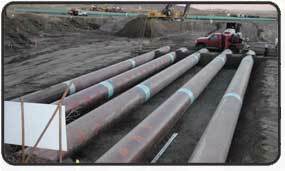 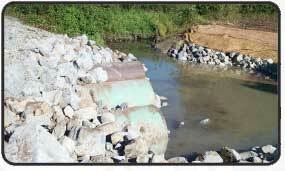 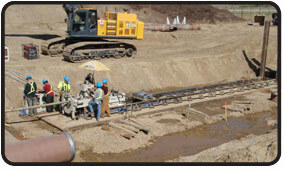 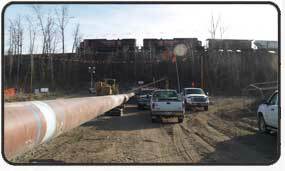 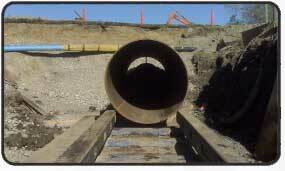 The pipe installation involves a three-step process where launch and reception shafts are strategically located to minimize surface disruption. 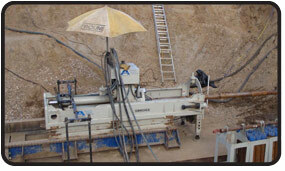 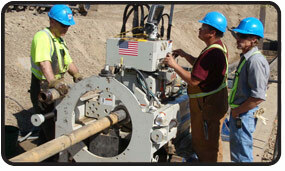 A pilot tube is then drilled at the precise grade and alignment as specified in contracts. 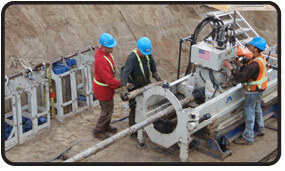 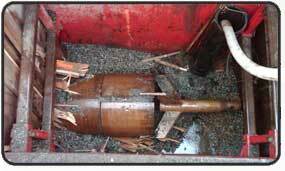 Thirdly the pilot tube is used as a guide to install the casing at desired diameter. 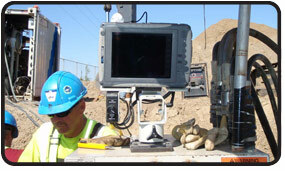 GBMs are used in conjunction with a theodolite guidance system to provide accurate pipe installation. 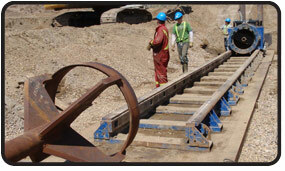 Our GBM is extremely versatile and our customers continually surprise us with new applications. 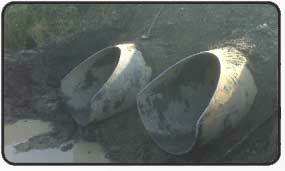 For installation from 4" OD and larger in displaceable soil.